We have a real treat today. Over 2 years ago we approached one of the men who responsible for turning us into disco fiends. We really didn’t expect to receive a response and when we did we were both surprised and enthused. This man was Greg Wilson. 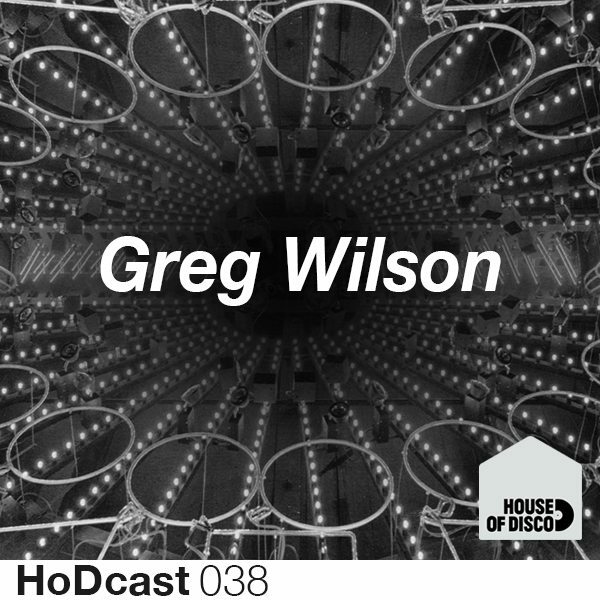 Not only did Greg take the time to give us one of our first guestmixes but he also spent an hour on the phone to us giving us a really in-depth insight (below) into the scenes history and his origins as a Dj. Suffice to say we have the utmost respect for Greg who has always taken to time to ensure people accurately understand where these timeless tracks all came from and whats keeping them relevant. Greg recently came down to play at one of our parties in London and has very kindly given us the recording of his live set to use as his second guestmix for us. We think you’ll agree that it cements his position as both an adventurous selector and a talented Dj. There is no tracklist for this one but that’s half the fun. What was your inspiration to begin djing and who were your earliest musical influences? The inspiration to begin Djing was basically a combination of formative situations. I’m from a seaside town, there was music all around me, it was always there. I lived above a pub, which had two function rooms with mobile discos coming in and out almost every weekend, and we also had jukeboxes in the pub. But an even bigger influence was that I had an older brother and sister who were both buying 7” singles, of which the majority were Tamla Motown and other soul records. That’s the music I kind of inherited so to speak, which started me building my own record collection. I also had a school friend, Derek Kelsey, who built his own mobile discos when he was really young. He was only 11 when he built his first one, a kind of drawer housing two turntables, with his ‘mixer’ a switch that changed from one turntable to the other. When we were 15 he replaced his first proper disco console, so I bought that with another friend and we set up our own mobile called Dancin’ Machine, after the Jackson Five track. No sooner had I started out as a mobile DJ than I got my first club booking, so it all kind of came together in a semi-organic way. The next question I’d have would definitely move on from that, you lined it up in a sense. You’ve been a DJ on and off for 30 years, has the role of the club DJ changed much from since when you began originally and how has it changed in your eyes? I actually stopped for 20 years, so there’s that gap in between. When I started off in 1975 the rules were very straightforward in a sense. Your dancefloor was everything; you were there to work the dancefloor, and to bring people to the dancefloor. The guys would never dance on their own, except on specialist scenes, as it was viewed as wrong and effeminate in your everyday type of club back then, so it was the girls you were looking to put on the dancefloor because the girls attracted the guys. So basically you’d always work towards the girls and it kind of developed from that. So you saw those rules quite simply, and if you played the wrong track you lost your dancefloor, it was gone and you had to start again. This all became clouded later down the line, during the house era, when people were taking ecstasy and just going out to dance all night. When ecstasy came on the scene it supplemented the music, which was already in place, which people were already dancing to. It was an add-on to that, but pretty soon the drug experience became the primary thing and the music became secondary, with most people narrowing things down to just a single sub-genre of dance music to accompany that experience. Different DJ’s began to reflect these individual strands, rather than playing the spectrum of styles that was previously the norm, and the whole thing, from my perspective, on the outside looking in, began to fragment. To become a part of a specialist scene, like the black scene, which I eventually graduated to, you really had to win your stripes so to speak. The music was what we termed ‘upfront’, meaning you had to be ahead of the game by playing the latest US imports. 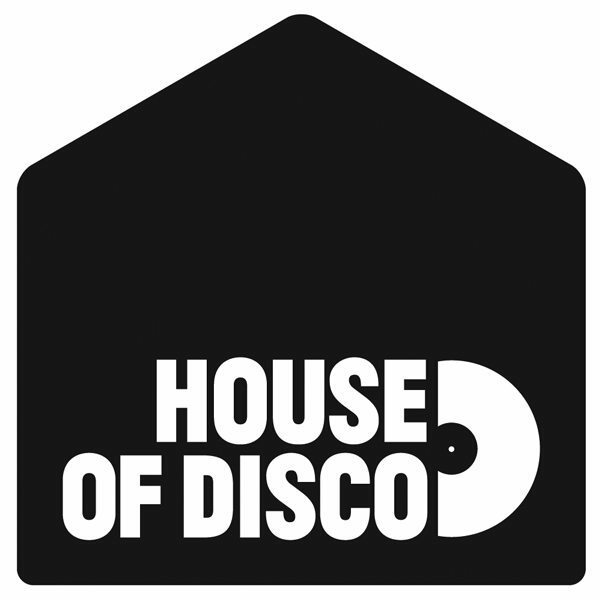 The influence of the black scene filtered down to the mainstream clubs, and records that had originally been huge on specialist nights might go on to become chart hits having eventually been released here, whilst other tracks remained underground classics without ever crossing over, some never even being issued in this country. And then you go forward to the rave era. The groundwork for that was laid by the black scene, although by the time it exploded it looked very white on the surface, because a lot of the black kids had become disillusioned and begun to distance themselves. From their viewpoint it was all becoming far too mainstream, with their scene being deluged by people who just a little pill previously had nothing but contempt for dance music. Putting those two eras together, what would have been your favourite places to DJ? My two favourite places to DJ were my main clubs of the early eighties, Legend in Manchester and Wigan Pier. They were leading the black scene in the north of England at the time, they were as upfront as you could get, with incredible crowds. The clubs themselves were really special, very much state of the art in terms of technology, equipment, sound system, lighting. I was very fortunate to work at those two clubs. I also worked at the Hacienda in 1983, but the Hacienda didn’t touch these places in terms of what was going on at that particular point in time. The Hacienda didn’t have a sound system like Wigan Pier and Legend, and it certainly didn’t have the lighting, nor did it have the crowd. Different people who were involved in Factory had been to New York and seen the scene out there, and they wanted to bring some of the spirit of that back to the Hacienda, and they wanted to try and mix the music, covering both dance and alternative, as well as mix the crowd. It was a different scenario in the UK to what was happening in New York. The UK had its own lineage, its own history and everything. It took a while but eventually they achieved what they’d set out to do, but during the time I was there it was a much more difficult thing to try to pull off, you know, to bring those separate crowds together in one place. By bringing some of the black crowd over to the Hacienda, it started to plant seeds over the next few years. It began to ferment and eventually by the time ecstasy came on the scene in 1988, they already had really strong dance nights at the Hacienda. It was like the blue touch paper that was ready to be lit was lit by ecstasy, and it just became this huge thing that everybody knows about and has a historic context now. You’ve enjoyed a massive resurgence in popularity since you decided to resume your DJ Career, is that because you saw a revival in that scene you liked so much, or what were the main reasons for coming back? Did you see some kind of revival in that pre-Hacienda scene, so to speak? No, firstly you can’t revive a scene like that because it was due to the social conditions of the time, so you can never go back to how things were, but what you can do is draw from the essence of what was happening in terms of what it was, as it was very much an underground period. If you look at things historically you could say that in the 70’s disco became a massive mainstream phenomena, it was huge. People talk about punk, but punk was tiny in comparison to disco’s popularity. Disco, as an industry, was massive; I don’t think people can quantify that these days. That’s why there was such a big backlash in the States, it was kind of declared dead on a media level and everything. Obviously dance music never dies because people will always want to dance, and you could always return to an underground source, as in the eighties. The mainstream side of it has struggled, for example a lot of big clubs have closed in recent years, and a lot of people now prefer more intimate spaces. So that was the connection I could see between the early eighties and what is happening now, more in terms of going back to an underground philosophy and re-approaching things from the roots up. When I started DJing it wasn’t regarded as a serious career choice. To make decent money you had to get on the radio, and most people couldn’t manage that, there was only a limited amount of openings. It certainly wasn’t this thing where you earned hundreds or thousands of pounds, the first night I played I got 6 pounds! What this meant was that a lot of DJ’s were doing it for the right reasons, clearly motivated by a genuine passion for music, not the money they might earn from playing it. Considering you’re a DJ that enjoys the craft of playing the music you love, but also a producer too, what craft do you prefer and why? Well, they’re two different things completely. DJ is my true profession, that’s kind of what I mastered in a sense, that’s what I’m good at. As a producer I still need to prove myself on certain levels. I haven’t achieved what I have as a DJ, in terms of mastering the skill of it. Although I’ve done some good stuff as a producer, there’s certainly a sense of unfinished business there. As a DJ, what’s different now from then is, when I was working in the 70’s to 80’s, my ambition was all about being a black music specialist working with that type of crowd, and I fortunate enough to fulfill that ambition. This time around, it’s not about that. I’m in a different place. I’m referencing back to the 70’s and 80’s, but in a contemporary sense, with the re-edits and via current recordings influenced by that period. I’ve come to understand my role in it, which someone described to me as a ‘bridge builder’, providing a link between then and now. The reason I came back into DJing was purely an organic thing, when I started the website off, electrofunkroots.co.uk, it was because the history of dance culture in this country wasn’t being properly documented, the black scene largely obscured. With the archive material I had, I felt I should share that and bring it to light, whilst also re-visiting it myself. Now, 7 years into it, I can start to be objective about how things have worked out and what’s been happening. In a Rip Van Winkel sense I’ve reawoken all these years on, I’ve come into a time when a younger generation of people, for whatever reason, have been inspired by music from a different period. Indeed, a lot of the stuff we listen to is influenced by the past obviously, and you would play a key role in doing that in the DJing and also production, so in terms of that, what kind of re-edits and productions that you’ve done so far are you most proud of? With regards to edits and stuff, its weird now when I look at what I’ve done in the last seven years, there’s quite a body of work now, and its all been approached from a practical level, for me to play at my nights, as that’s what I’m doing when I put them together. But if other people are into something I’ve done initially for myself, then fantastic, that’s great. I’m not one of these people who in life wants to keep everything close to his chest, although I understand that, in certain things and in certain ways, people trade off having exclusivity. It’s not about that for me, it’s about the sharing of it, and also it’s about moving on, you know, go and edit a few more things. Music is a kind of bottomless well, we’ll live our whole lifetime and there’ll be so much great music we’ll never hear! Well, from that, obviously the music industry and all it encompasses has changed fundamentally in recent times, so what do you see as the future of that, and particularly, for dance music? Well, the music industry is unrecognizable from what it was. I mean, I don’t think the music industry knows what it is! It’s having to completely reinvent itself at the minute. What I do is re-edits, mixes etc, and what I get out of it is nothing compared to my club bookings. So to stay in at night and spend the night working on a remix, I won’t get as much financial reward as I would do for going out and playing a club. But what remixes or edits do for me is get my name about and help bring bookings in, and that’s what I make my living from. Whereas in 1975 a DJ might try to get involved with a mobile disco as an apprenticeship, or in 1990, they might put together a mix tape, and hope somebody may let them do a warm-up spot, now they’ll do an edit, and stick it up on Soundcloud and if it takes off and people get into it, and DJ’s start playing it, then they might be in a position where they can command a little bit of money for a gig, and start working their way up the ladder in that way. I’m particularly excited to hear how a younger generation, of both DJ’s and musicians, takes these influences and moulds them for their own purposes, fusing past with present to create the next phase.